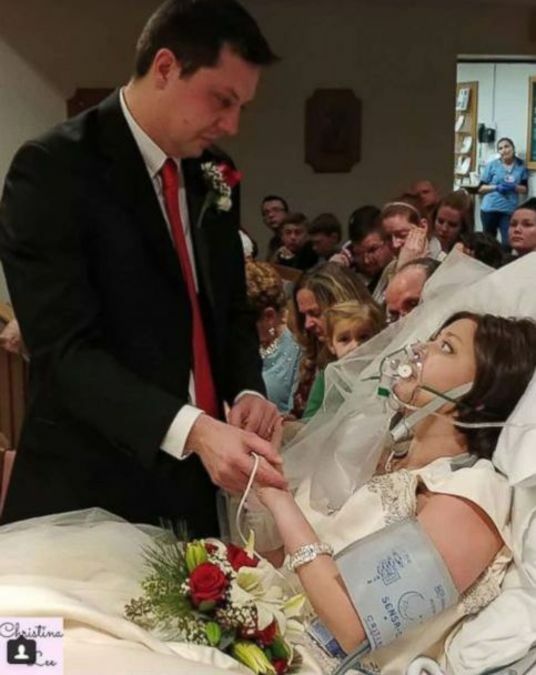 A Connecticut bride battling an aggressive type of breast cancer died just 18 hours after exchanging vows with her groom. Heather Mosher was diagnosed last December with breast cancer -- the same day her then-boyfriend, Dave Mosher, proposed to her on a horse-and-carriage ride. The two had met at a swing dance group in Hartford, Connecticut, and quickly became friends before dating. "I had planned to ask her on Dec. 23, 2016," the groom, Dave Mosher, 35, told ABC News of the proposal. "That morning we had gone to the doctor after she had found a lump on her breast." A biopsy confirmed that Heather Mosher indeed had breast cancer, but Dave Mosher wasn't deterred. "Now more than ever, I needed for her to know that she’s not going to do this alone," he recalled. "When you’re with your great love ... it’s like trying to separate your arm from your body, you can’t do it. You’re connected. She was my girl," Dave Mosher added, choking up. While enduring two rounds of chemotherapy and two surgeries, Heather and Dave Mosher planned their nuptials. 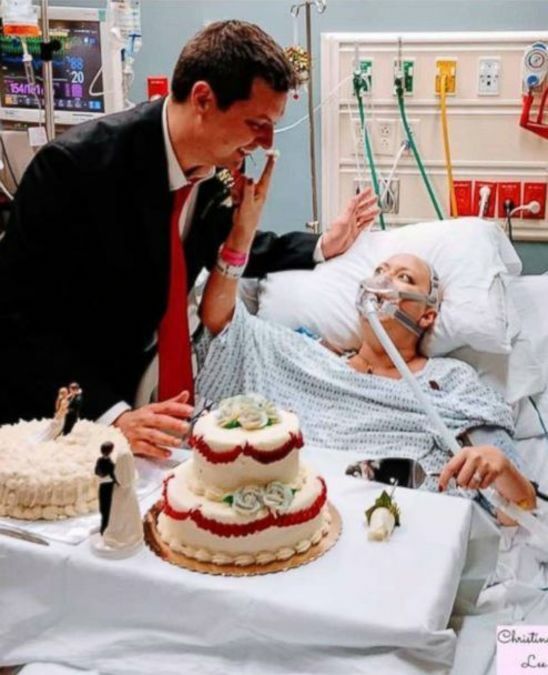 They were originally set for Dec. 30 -- that is until Heather Mosher's doctor suggested the couple wed "sooner rather than later," the groom said. The couple exchanged vows in front of family and friends inside St. Francis Hospital in Hartford, Connecticut, on Dec. 22. Heather Mosher, who was on life support, lay in bed, wearing a wig, a wedding dress and jewelry. Heather Mosher's friend, Christina Karas, was one of her bridesmaids. The two became close friends after meeting in the same swinging dance group four years ago. "She was dying and it was clear while we were all there that these were the last moments of her life," Karas, 36, told ABC News. "She held on to stay alive for the wedding ... a wedding to the man of her dreams." Dave Mosher noted, "Some of her last words were her vows." On the day the couple had initially planned to marry, Dec. 30, the family is instead holding a funeral for Heather Mosher. The coincidence was not intentional, her husband said. "It was just like surreal because I’m supposed to be exchanging vows to her and here I am saying goodbye," Dave Mosher added.